return response true or false. Determines if Kinetic Task returns the Nagios response output. host name Host name to apply to the new host. ip address IP address of the new host. max check attempts Max number of attempts to try adding the host. check period Time period name for when checks take place for this host. contacts Nagios usernames to notify for alerts with this host. Comma seperated. Use this parameter *or* the contact groups parameter. contact groups Nagios group names to notify for alerts with this host. Comma seperated. Use this parameter *or* the contacts parameter. notification interval Interval check period in minutes for alert notifications on this host. notification period Notification time period name. Determines the time period that notifications take place in. apply config 1 or 0 for true or false. 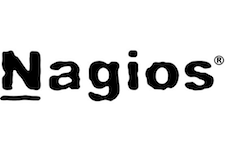 1 will restart the Nagios Core service and apply the change. Handler Error Message Error message if set to return - blank if no errors.